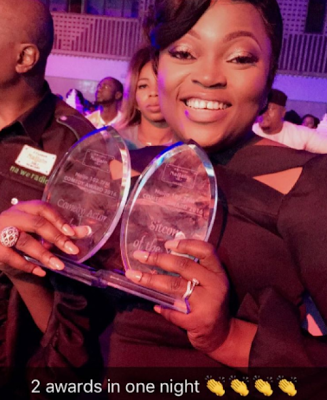 Funke Akindele's husband, JJC Skillz, took to Instagram to congratulate her for clinching two awards, Best sitcom and best actor in comedy, at the 2016 Naija FM Comedy award show. "2 awards to my lovely wife, the hardest working person I know in this industry. 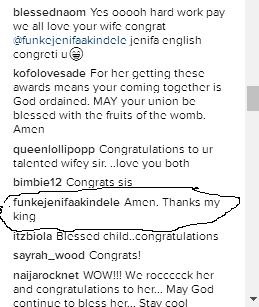 #jenifakan #worldwidekan @funkejenifaakindele congratulations#skyisjustthebeginning".